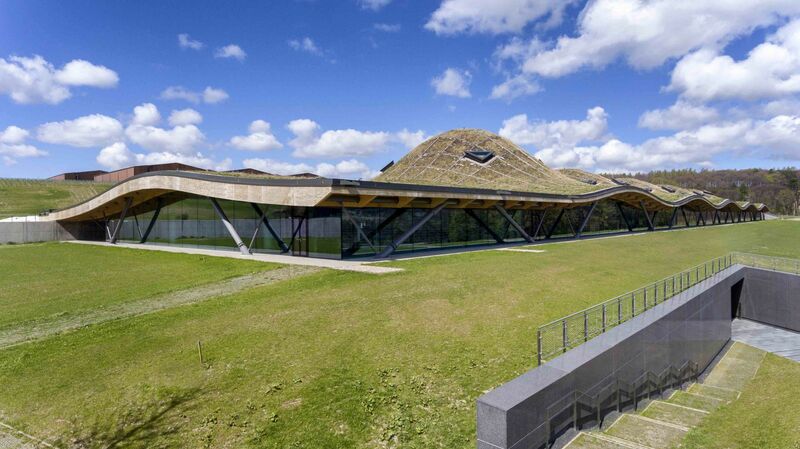 Last night, Scotch whisky brand The Macallan unveiled its spectacular, state-of-the-art new distillery, which is rumoured to have cost £140 million and appears to be buried into a Scottish hillside. Here, we reveal 10 things you need to know about the new building—and what it means for the future of The Macallan. The Macallan launched an international architectural competition for the new distillery, which was won by acclaimed British studio Rogers Stirk Harbour + Partners, who are also behind the award-winning Lloyd’s Building in London and the upcoming Hong Kong-Zhuhai-Macao Bridge Hong Kong Boundary Crossing Facilities. There was a practical reason why The Macallan commissioned this new distillery: they were struggling to keep up with demand for their Scotch. This new distillery will up The Macallan's production capability by 30%. In future, there's also the possibility of extending the distillery further along the hillside, which would increase production even more. If you pick up a bottle of The Macallan, it’s likely that the label will feature an illustration of a turreted, traditional manor house. This is Easter Elchies House, which sits at the heart of The Macallan estate and has long been a symbol of the brand. The futuristic new distillery now sits right next door, meaning that visitors can get a taste of both the brand's past and its future. The new distillery is so cavernous that St Paul's Cathedral could comfortably fit inside and The Shard, which is currently the tallest building in the European Union, could lie flat without touching either end. Guests at The Macallan’s new distillery enter into the visitors centre, which houses a restaurant, whisky library and store. This space is only separated from the factory by a thin sheet of glass, so as you enter you can see the enormous steel vats, copper stills and miles of piping that make the base spirit that, after years of maturation in oak casks, becomes The Macallan whisky. With a tour guide, you can cross to the other side of the glass and explore the factory proper.